MAKE a splash at a new spa resort - from the new Ritz Carlton in Japan to soaking in a spa in a former 17th-century monastery in Italy, we pick the hot new properties. Being swathed in luxury at the new Regent Bali on Sanur Beach should be enough to melt anyone's tension away. Suites come with butler service and 180-degree ocean views. The resort, due to open in November, has tranquil tropical gardens and 200m of island beach. And there are plenty of Balinese pampering options at the spa. Bangkok's newest digs is a 39-suite boutique hotel on the Chao Praya River that features fun ways to get fit and de-stress. 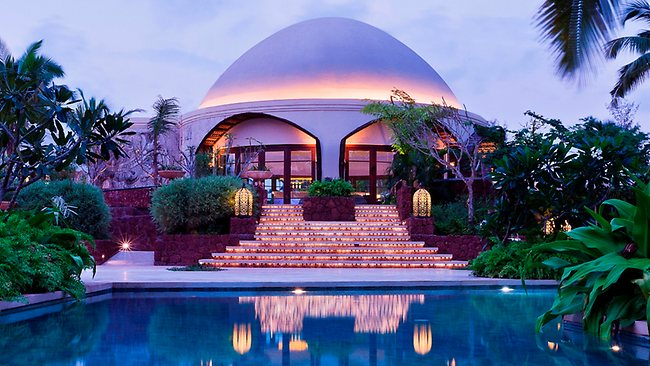 It has a spa and hammam (bath house), a retro gym with a Muay Thai boxing ring, an outdoor yoga sala and riverside infinity pool. Suites from $262 a night (opening special) until August 31. The 122-room Thai-inspired retreat opened this month and has spa villas with pools, ocean views and hosts tasked with ensuring occupants are truly pampered. Along with wellness treatments from India and Thailand, spa treatments draw on China's ancient tea rituals and 3000-year-old rejuvenation treatments using crushed pearls. Rooms from $293 a night. This 52-suite hideaway in Turtle Bay, on the northwest coast of Mauritius, opened in December last year. 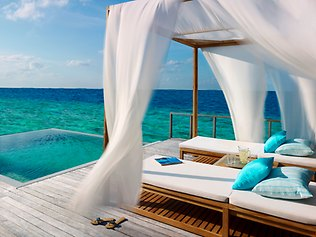 Its 21 spa suites have private pools and breezy verandas. The Spa Journeys package offers daily spa treatments. Spa suites from $750. Are you brave enough to swim in the WORLD'S SCARIEST POOL?